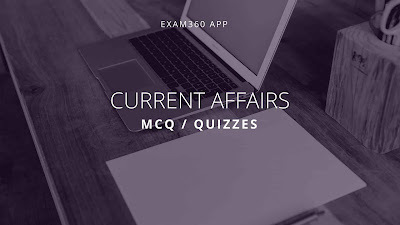 You should solve the Daily Current Affairs Quiz - 19th January 2018 question set for your upcoming IBPS, SSC, Railway exams as it consists of all the recent news updates. Read the Daily Current Affairs Oneliner - 19th January 2018 before solving it. Q1. The Government of which state has signed MoU with Niti Aayog for developing the monitoring mechanism ? Q2.Name the bank that has entered into a pact with Amplus Energy Solutions for strategic tie-up to co-finance projects in solar energy space in India . Q3.Which of the following has become the first state to achieve the door to door garbage collection target ? Q4.Name the cricketer who is named as the captain of the International Cricket Council Test and One Day International teams of the year . Q5.Hall of Famer Jo Jo White has passed away recently. He was associated with which sports ? Q6.Name the country that has recently appointed a "Minister for Loneliness" . Q7.Government has appointed S Selvalumar as the CMD of SPMCIL. SPMCIL stands for _____ . Q8.Government of India has signed an MoU with Confederation of India Industry (CII) to boost ______ . Q9.Name the country that has created the largest Air Purifier of World to fight against the Pollution . Q10.The Police of which city has introduced the LED-fitted uniforms to ensure the safety of the traffic cops ? Q11.India Ratings and Rsearch has projected the economic growth of India to be at ____next fiscal from ____ in 2018 . Q12.India has successfully testfired indigenously developed ICBM Agni-5. Which of the following statement(s) is/ are true about ICBM Agni-5 ? A]It is a long range surface to surface ballistic missile. B]It is developed by DRDO. C]It has a strike range of over 5000 Kms. D]It can carry nuclear warhead of more than one tonne. Explanation 1. The Andhra Pradesh government and Niti Aayog have entered into an MoU for development of monitoring mechanism, including creation of dashboard and collection of data for improving the performance of 115 most aspirational districts in the country. Explanation 2. Amplus Energy Solutions today announced entering into a pact with private sector lender Yes Bank for strategic tie-up to co-finance projects in the solar energy space in India. The memorandum of understanding (MoU) was signed at International Solar Alliance pavilion at the World Future Energy Summit, Abu Dhabi. Explanation 3. Madhya Pradesh has become the First State To Achieve Complete Door-To-Door Garbage Collection. The Swacch Bharat Abhiyan has led to a huge difference in many states of the country. Prime Minister Narendra Modi's initiative has asked people to observe cleanliness and make sure that the garbage never becomes a part of our lives in any manner. Explanation 4. India’s Virat Kohli has been named as captain of the ICC Test and ODI Teams of the Year 2017, which were announced by the International Cricket Council. Apart from his own stellar performances across both the formats, Kohli also inspired India to the number-one and two ranking positions in Tests and ODIs, respectively. Explanation 5. Basketball Hall of Famer Jo Jo White has passed away recently. He was a two-time NBA champion and an Olympic Gold medallist. Explanation 6. More than nine million people say they are always or often lonely, out of a population of 65.6 million, according to the British Red Cross. The British government has appointed Theresa May as its first ever minister for loneliness, who will help tackle the problem of isolation and loneliness suffered by an estimated 9 million people in the country. Explanation 7. The government has appointed senior IAS officer S Selvakumar as Chairman and Manging Director (CMD) of Security Printing and Minting Corporation of India Ltd (SPMCIL). The state-owned SPMCIL produces bank notes, coins, postage stamps, non-judicial stamps and other official documents. Explanation 8. Department of Commerce has signed MoU with Confederation of Indian Industry (CII) for setting-up institutional mechanism for the development of export and import sector in the presence of the Minister for Commerce & Industry Shri Suresh Prabhu in New Delhi. Explanation 10. LED-fitted uniforms are given to ensure the safety of Kolkata traffic police. The 'body lights' will help the commuters and the drivers spot the officers from a reasonable distance and cut the risk of fog-related road crashes. Explanation 11. India Ratings and Research today projected the country's economic growth to improve to 7.1 per cent next fiscal from 6.5 per cent this year, buoyed by robust consumption demand and low commodity prices. Explanation 12. India has successfully test-fired its nuclear capable surface-to-surface Agni-5 ballistic missile from a test range off the Odisha coast. It was developed by DRDO. It has a strike range of over 5000 Kms. It can carry nuclear warhead of more than one tonne.